BBQ Chicken Tostadas are a fun, healthy meal which can be made completely on the grill. 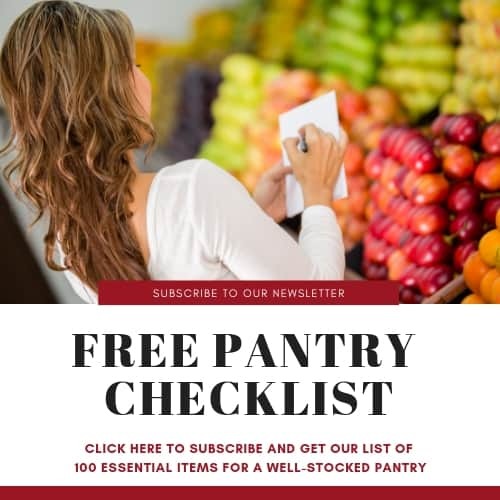 So, head outside and get cooking! 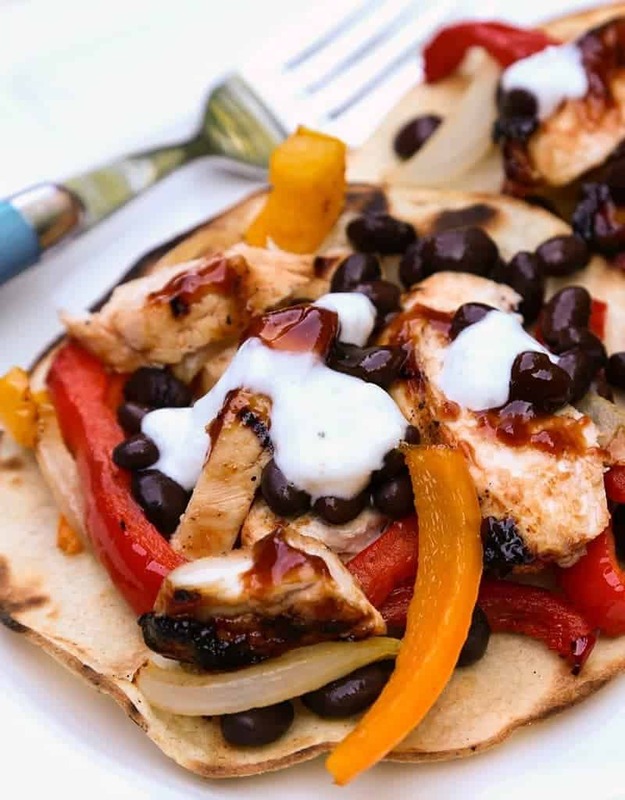 Grilled veggies and chicken are layered on freshly toasted corn tortillas to create BBQ Chicken Tostadas, a healthy dinner that can be prepared in about 35 minutes—and all while enjoying the outdoors! Start off by firing up the grill and oiling the grates. We like a little crunch, so instead of making soft tacos we opted for going the tostada route and toasted corn tortillas right on the grill. Being on the DASH diet for the past month has made me more aware about the nutritional value of the food we consume. I always thought that choosing a soft flour taco was a healthy choice (not being fried). Come to find out, a corn tortilla is the smarter choice. Corn tortillas offer the same amount of fiber with just about half the carbs, fat, and calories. Corn tortillas are also lighter in sodium, and they are usually smaller than flour which helps with portion control! Our entire meal was prepared on the grill. We grilled chicken and basted with barbecue sauce during the last few minutes of cooking, and grilled the onions and peppers for the tostadas at the same time. 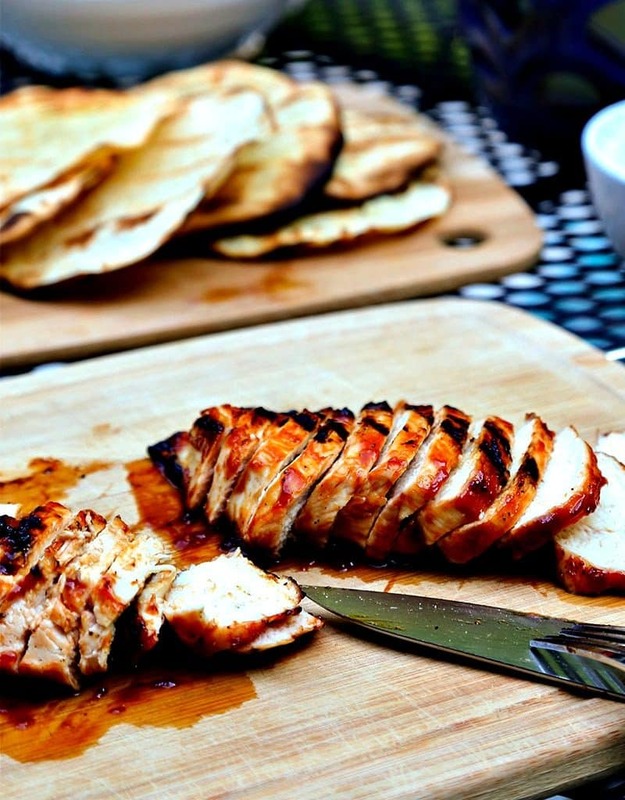 Slice up the chicken in small pieces and you’re ready to assemble the tostadas. Just layer chicken, veggies, and no-salt black beans on top of the toasted tortillas to build the tostadas. I love all the flavor and color in this dish! Fresh, healthy and delicious! To finish off the tostadas, I made a simple crema out of plain Greek yogurt and a little jarred salsa verde to drizzle on top. You can just use salsa in the crema instead, or just serve the tostadas with a little sour cream and extra barbecue sauce. 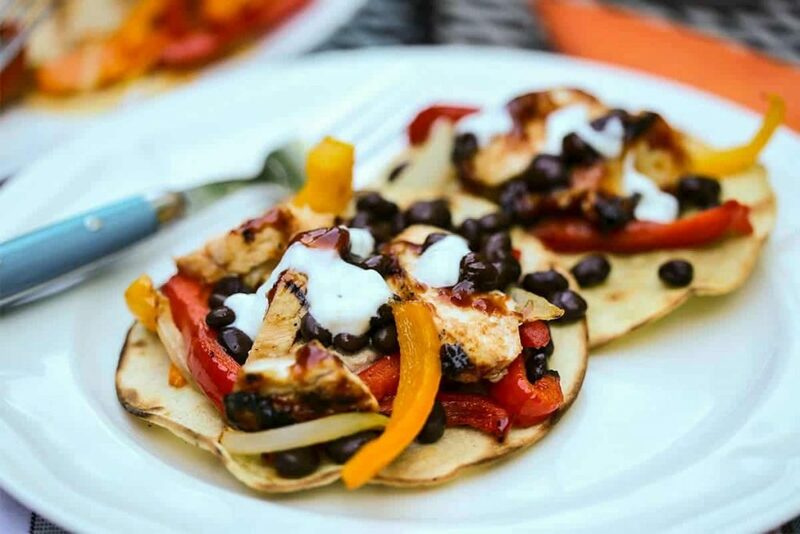 BBQ Chicken Tostadas are a fun, healthy meal which can be made completely on the grill. Stir together the Greek yogurt, salsa verde and garlic powder. Refrigerate until ready to serve. Spray grill grates with cooking spray and heat to medium high heat. 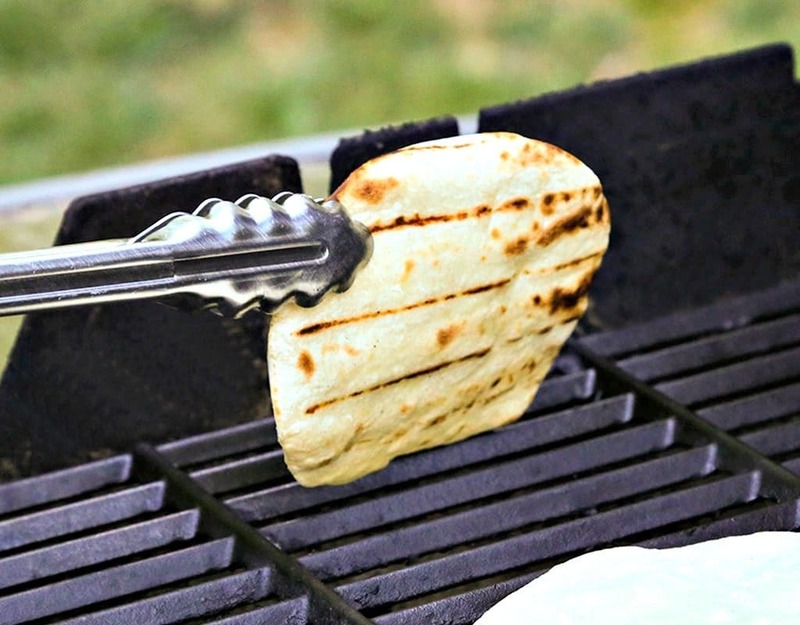 Place corn tortillas on the oiled grates and cook on each side for 2 minutes or until lightly browned and just crisp. Remove from heat. 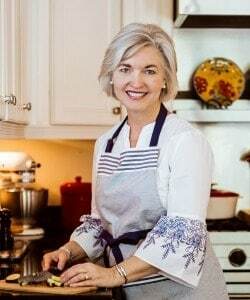 In a large bowl, toss sliced peppers and onions with 2 tablespoons olive oil. Set aside. Brush chicken with remaining 1 tablespoon olive oil and sprinkle evenly with the salt. Place peppers and onion on grill in a grill pan on one side of the grill. On the other side, grill the chicken. 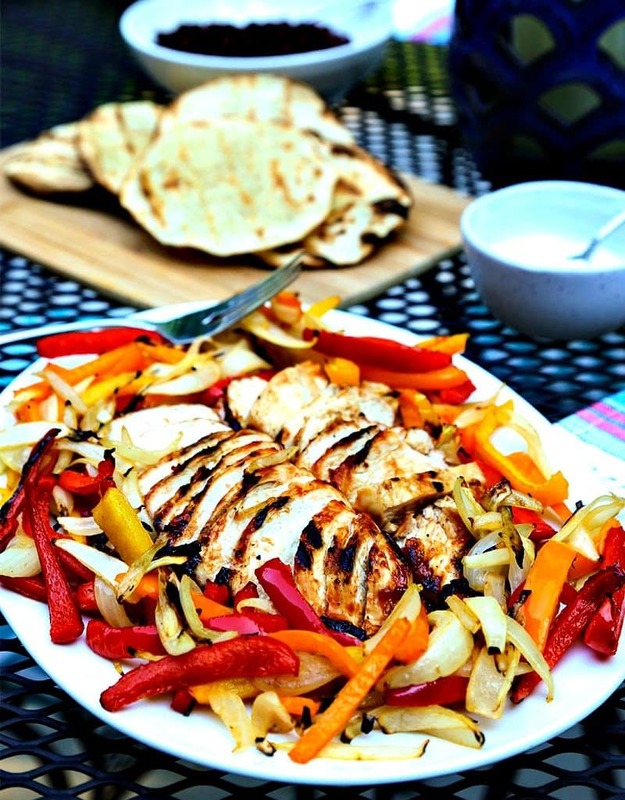 Cook the veggies and chicken for about 15-20 minutes with the grill lid closed as much as possible. Turn the chicken about half way during cooking. 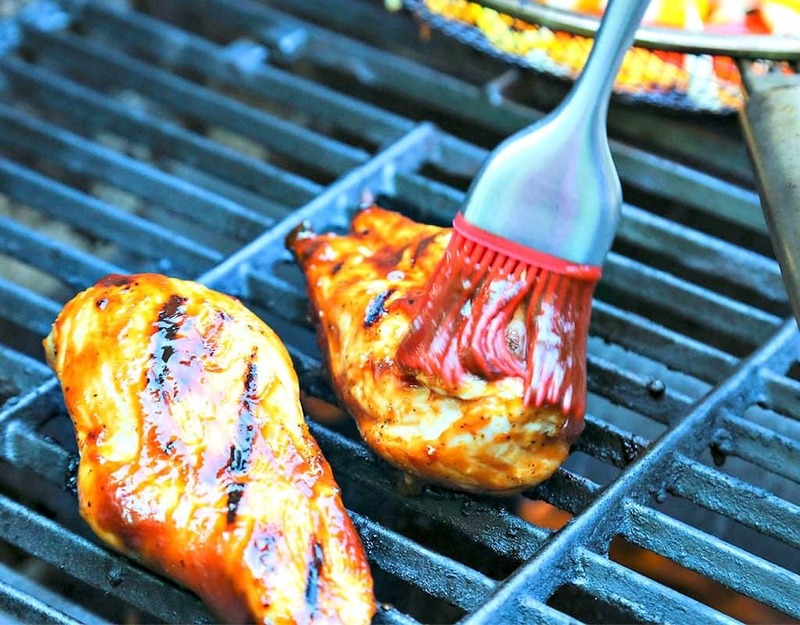 During the last 5 minutes, baste the chicken with the barbecue sauce to glaze. Remove from heat and let set for 5 minutes before slicing. 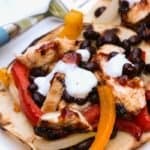 Place tortilla on a place and top with the sliced chicken, grilled veggies, and black beans. Drizzle with Crema and more barbecue sauce, if desired.